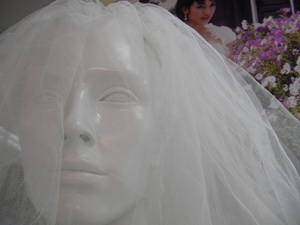 BANGKOK, 2 June 2011 (IRIN) – Most cross-border human trafficking in Myanmar involves women tricked into travelling to China to get work, only to find a groom waiting for them on the other side. Thazin* was trafficked to China from Yangon and forced into marriage in 2008. Now 29 and back in Yangon, she told IRIN that one day she drank a cup of coffee spiked by an acquaintance, woke up in China and was soon married against her will. According to the UN Inter-Agency Project on Human Trafficking (UNIAP), 70 percent of Myanmar’s trafficking cases in 2010 involved stories like Thazin’s. In 2010, the authorities recorded 122 cases of forced marriage, up from 104 in 2009, Myanmar’s Ministry of Home Affairs reported. For more than a decade, Burmese women have been trafficked across the 2,000km border to marry men who are unable to afford the dowry required by a Chinese bride, said Ohnmar Ei Ei Chaw, national programme coordinator for UNIAP in the Mekong region. Chinese husbands-to-be pay upwards of US$8,000 to arrange these marriages, many believing their bride is willing. On the other hand, Burmese parents, looking for a better life for their children and themselves, accept as little as $1,000 for their daughters, according to UNIAP’s 2010 report. “It is a local custom and some think cross-border marriage is normal,” Ohnmar Ei Ei Chaw said. “With education programmes, they begin to realize this is against the law, and they begin to think ‘We are putting our girls in a high risk position’.” But bride trafficking will continue for as long as people are poor, she added. According to Save the Children, which has been working on this issue along the China-Myanmar border since 2002, trafficking for the purposes of forced marriage has increasingly been in the spotlight since 2006. China and Myanmar now consider such arranged marriages to be human trafficking, and in 2009 they signed a comprehensive trafficking memorandum of understanding. As Myanmar’s five-year plan of action to combat trafficking comes to an end in 2011, the number of cases recorded has increased, along with the number of traffickers apprehended. In 2010, the authorities prosecuted 502 perpetrators (197 male, 305 female) and rescued 381 people (89 male and 292 female). Sting operations as well as education about the dangers of falling into a recruiter’s trap have made these arrests possible, said a senior official from Myanmar’s Central Body for the Suppression of Trafficking in Persons, who spoke to IRIN on condition of anonymity. The 176-strong Trafficking Task Force, trained by the Asia Regional Trafficking in Persons Project and funded by the Australian Agency for International Development, has been deployed in 23 locations around Myanmar, including hotspots such as Muse, a border town, as well as source cities such as Yangon. Special attention is being paid to buses, the main mode of transport used by traffickers. But prevention efforts are still the primary need, said David Brickey Bloomer, child protection director with Save the Children UK in Myanmar. “Anti-Trafficking work in Myanmar is primarily focused on rehabilitation and reintegration; there needs to be a greater commitment on the part of all towards more prevention strategies which are inherently sustainable,” he said. Instead of helping, Thazin’s brother said the police in Yangon demanded $600 as a bribe before they would search for her. He was unable to afford this sum, so Thazin remained a captive of her “husband” – until she could take no more and managed to escape. “I even tore off my clothes. I was running naked,” she said, until she reached a bus station near the border where people clothed her and returned her to Myanmar. The woman who gave Thazin to the traffickers is serving a three-year prison term; it is not known if the traffickers have been found. The US State Department releases its 2011 Trafficking in Persons report in the coming weeks. Myanmar has always ranked among Tier 3 countries, the lowest ranking possible in anti-trafficking performance. The 2010 report acknowledged the work done against international trafficking, but condemned Myanmar for continued in-country forced labour. China has been on the Tier 2 watch list for the past six years.